California judges are owed back pay and pension increases because their salaries did not keep pace with state worker compensation as required by law, according to a class action lawsuit filed by a recently retired judge. Robert Mallano, a former presiding judge of the 2nd District Court of Appeal, filed the lawsuit in Los Angeles Superior Court in January, according to the PublicCEO website. A Charlotte, NC, newspaper essay is citing a pair of California cases – one famous and historical, the other less famous and current – as examples why and how young African-American men have “skeptical” feelings about the justice system. Corey Arvin, writing in the Black Voice News and carried by The Charlotte Post, asserts that “today’s young African-Americans are not more skeptical of their value” in the justice system, they are just the latest to be aware of that disparity. Stevenson is the author of a book about the killing of Latasha Harlins, a; 1991 case from South Los Angeles. She says such cases just continue the generational culture, noting that the Harlins case is among those recalled during events like the Martin trial. In a state where the judicial system is choosing to close important community courthouses including facilities vital to juvenile justice, the essay should make your weekend reading list. Click here to read the essay. The supervisor of the L.A. Superior Court civil department is a candidate for assistant presiding judge, becoming the first judge to declare for the fall election. After two years, that position would typically lead to an unopposed advancement to presiding judge. The candidacy is being reported in The Metropolitan News-Enterprise. According to the report, Buckley was appointed to the court in 2002 by then-Gov. Gray Davis and, at the time of his appointment, was managing partner in the law firm then known as Breidenbach, Buckley, Huchting & Hamblet, where he represented defendants in tort and environmental litigation. Read the MetNews coverage here. ‘Alternative’ Judge’s Group Gaining Momentum? A judicial group that has been critical of the current court management seems to be gaining some momentum after successfully supporting a legislative audit of the Administrative Office of the Courts (AOC), drawing a crowd to its second annual conference in Los Angeles, partnering with a major university for that conference and gaining strong coverage in The Courthouse News. The CN quoted judges who called the event a “milestone” and it also reported that some out-of-state speakers were surprised to find out how difficult the courts situation has become in California. The conference included participation from George Mason University, and you can check out the CN coverage here. The advocacy website Juvenile Justice Information Exchange has posted a significant report detailing problems with how Los Angeles County provides legal representation for juveniles who cannot afford their own lawyer. One suggestion is that the juvenile system work more like the adult system in Los Angeles where defendants are represented by attorneys from an alternate public defender’s office or by private attorneys paid an hourly rate based on the complexity of the case and seriousness of the offense – not the flat fee. You can see the report here. Top Ten Takeaways from Perrin Conference in L.A. Here, in no particular order, are our Top Ten immediate take-aways from the “Cutting-Edge Issues in Asbestos Litigation Conference” organized by the Perrin Conferences company. The Perrin conferences are different from most legal-issues gatherings because they include several points of view, being attended by plaintiff attorneys, civil defense attorneys and even issue-specific judges. The two-day conference was held March 17 and 18 at the Beverly Wilshire Hotel in Beverly Hills, California and drew more than 100 attorneys from across the country. 10. Lung cancer is a growth area for asbestos litigation. Panelists explained that we should expect from 6,000 to 7,000 new asbestos-related lung cancer cases per year. New York Judge Sherry Klein Heitler, a panelist in the “emerging trends” discussion, said that “… the reality is that we just do not have the money” to deal with the new cases. 9. These lung cases will include smokers, even those with extensive tobacco use histories. One panelist predicted that the expanding case volume and reduced court capacity will likely lead to more consolidation, where multiple cases are handled together. 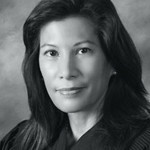 Stepping up her intensity from previous references, California Chief Justice Tani Cantil-Sakauye is pushing civil rights as a key argument for court funding increases, echoing comments from labor activists and others – and she’s including civil courts access along with the more high-profile (and obvious) criminal court problems. The chief justice’s comments are getting broad play around the state, and even the Los Angeles Times, which has not exactly been a leader in the court crisis coverage, took note. You can see the Times story here. The Perrin Conference at the Beverly Wilshire Hotel ended yesterday (Tuesday, March 18). California asbestos judges from both Los Angeles and San Francisco participated. The CCM staff attended the conference and we will post an original summary of the conversations on later this week. Court capacity was another hot issue, with conference panelists connecting dots from bankrupt companies to increased caseloads to nearly bankrupt courts. A New York City judge who handles asbestos there warned that there are not enough resources to handle the expected increase, and another panelist pointed out that the average asbestos case take more time than typical civil cases: twice as much time for a judge and four times more time for court staff. The bankruptcy case being talked about in the hallways and across panels is called “Garlock” and involves a North Carolina company. and the long shadow comes from a scathing judge’s order that noted issues involving bankruptcy trusts. Such court-approved trusts are set up to pay ongoing claims, and the judge found that some firms are apparently withholding evidence during litigation but still filing against the trust. Such evidence of other asbestos exposures can be vital to a defendant trying to prove they were either not at fault or at lesser fault. In the non-campaign yawn-fest that is the usual Los Angeles Superior Court judicial election, the most vital strategy doesn’t involve talking points or focus groups. Instead, the big deal is how candidates are identified on the ballot. It seems “prosecutor” is a coveted title. Or even a “Deputy City Prosecutor.” The MetNews is reporting that B. Otis Felder, who is running for the judgeship being vacated by Michael Nash, is arguing that he can use that delegation because he was a full-time prosecutor in the “Volunteer Attorney Training Program” run by the L.A. City Attorney’s office. Responding to critics, he said that volunteer work is prosecutor enough. Critics say there may be a formal complaint to change the designation. 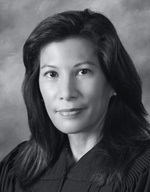 Another interesting candidate is Pamala F. Matsumoto, who is self-identified as an “Administrative Law Judge,” and is one of the former Superior Court referees dismissed during the 2012 budget cuts. Here’s the new Los Angeles Times election coverage page, which offers a broad election story and mentions the Superior Court election only once, and then to dismiss it.